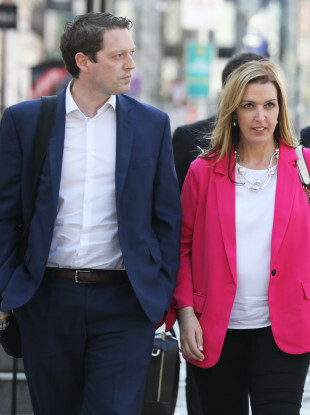 HEALTH MINISTER SIMON HARRIS has agreed to fund a new patient advocacy service to assist those affected by the CervicalCheck scandal. Vicky Phelan and Stephen Teap called for an independent patient advocacy group to be established to help the women and families impacted by the controversy. Phelan, the terminally ill mother-of-two who brought the CervicalCheck controversy into the public domain, told the Sunday Independent at the weekend that an independent advocacy service is “essential” for all those harmed by the health service. “There was nowhere for us to go. We had to set up all of this ourselves. The only people who had contact details for all of the women and families affected by this are the HSE, the very organisation we can’t trust,” said Phelan. Stephen Teap, whose wife Irene died of cervical cancer last year after two misread smear tests, is also calling for the group to be established. The Marie Keating Foundation, the Irish Cancer Society and the Irish Patients Association (IPA) are supporting the call. Sinn Féin’s Mary Lou McDonald raised the issue with the minister in the Dáil today, stating that women are still being forced through the courts to access their medical files. “The essential review of 3,000 cervical smear slides has not begun. The final report of the scoping investigation being conducted by Dr Gabriel Scally is delayed and women are having terrible difficulty accessing the €2,000 payment that you announced,” she said. Harris said that anyone having difficulty receiving the payment, committed by government a number of weeks ago, should get in contact with his office. “It strikes me as a bare minimum and a very practical idea. Will the Taoiseach make the funding and resources available so this advocacy resource can be afforded to the women and their families?” said McDonald. Email “Harris agrees to fund patient advocacy service after Vicky Phelan calls for new support group ”. Feedback on “Harris agrees to fund patient advocacy service after Vicky Phelan calls for new support group ”.